Chihuly’s first concept form for his Chandeliers premiered at the 1992 Seattle Art Museum exhibition. The series, which reflects the artist’s longtime interest in architecture, was further explored and perfected during preparation for Chihuly Over Venice, an ambitious two-year project. specially-designed steel armature, the many forms combine to create an intricate suspended composition. Here is the Burnished Amber, Citron, and Teal Chandelier at Biltmore made in 2017. 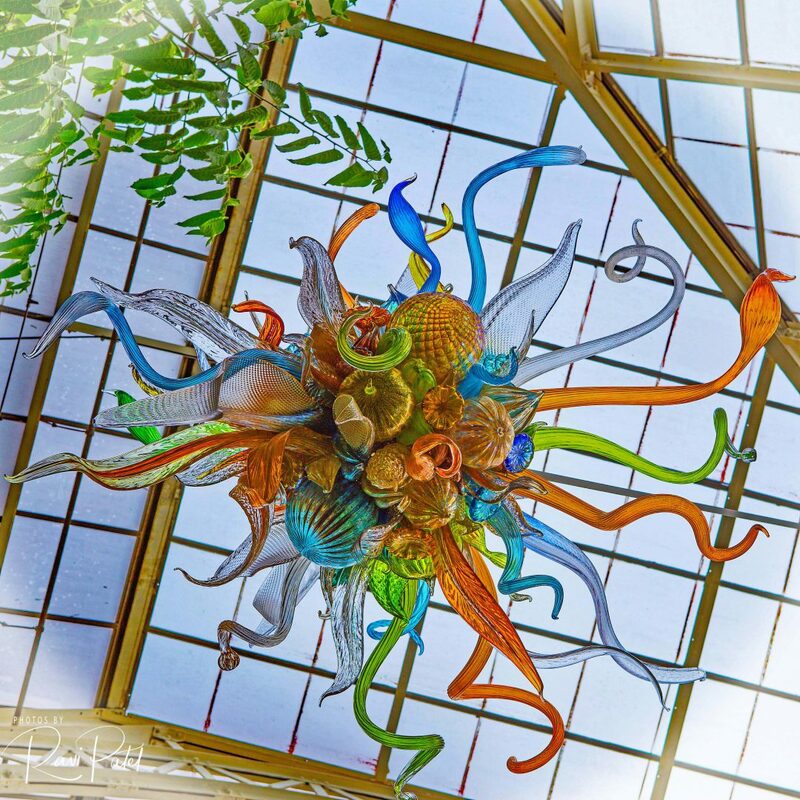 This entry was posted in art, North Carolina, Photography and tagged Biltmore, chandelier, Chihuly, glass. Bookmark the permalink.